When will be Face Value next episode air date? Is Face Value renewed or cancelled? Where to countdown Face Value air dates? Is Face Value worth watching? Face Value is a groundbreaking new game show that will finally answer the age-old question, "Can you judge a book by its cover?" The veteran actress, comedienne and LGBT advocate knows what it's like to be prejudged, so this series is flipping the script to award cash and prizes for correctly guessing facts about strangers from all walks of life – based solely on their appearance and a few personal details. 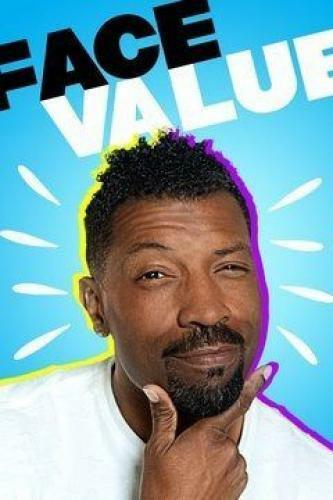 Hosted by Deon Cole ("black- ish,"Barbershop), Face Value will humorously break down stereotypes, expose prejudices, and celebrate the human spirit by highlighting the commonalities and differences among people of various backgrounds, races, religions, beliefs and life experiences. Face Value next episode air date provides TVMaze for you. EpisoDate.com is your TV show guide to Countdown Face Value Episode Air Dates and to stay in touch with Face Value next episode Air Date and your others favorite TV Shows. Add the shows you like to a "Watchlist" and let the site take it from there.